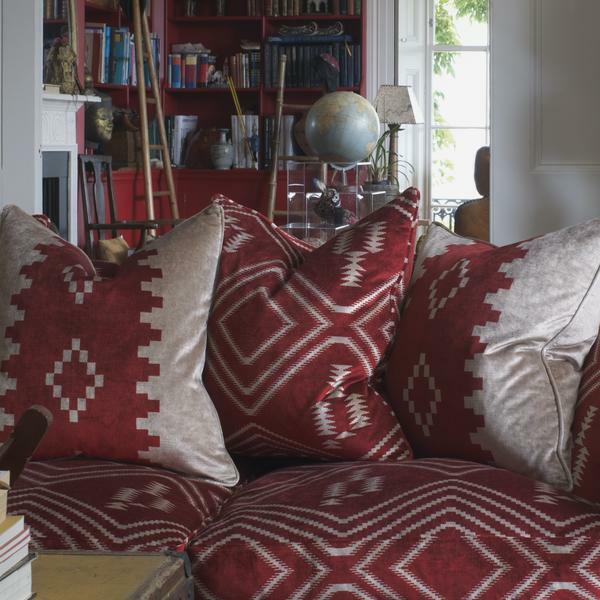 A contemporary geometric print on velvet in rich red and buff. 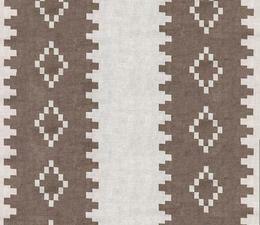 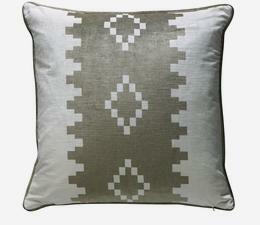 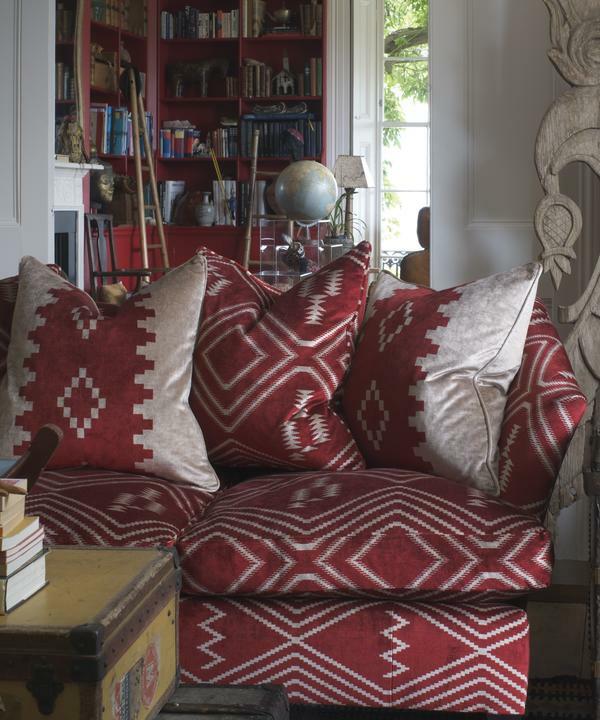 Pair with our coordinating Navaho Red as well as some faux fur for that fabulous chalet chic or log cabin look. 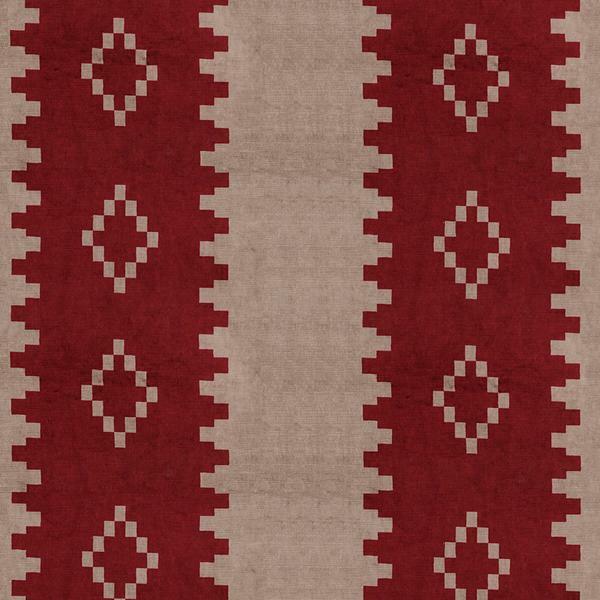 Mohave is the ultimate in contemporary chic. 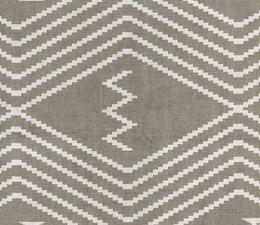 The Aztec geometric design is spot on trend and with a smart, centered stripe in classy colourways, this fabric just oozes subtle cool. 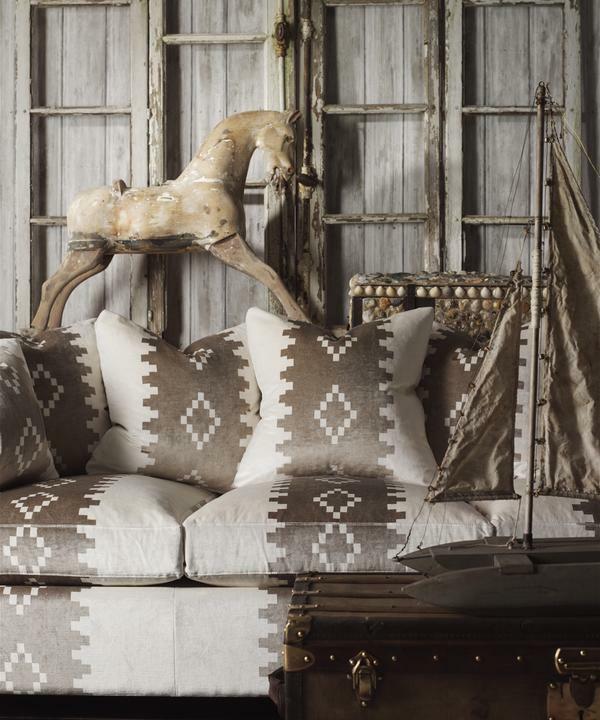 Pair with warm colours and ikats or kilims for an enhanced ethnic, travel theme or opt for more neutral tones, rustic wood textures and candles to create the Danish hygge look.